You know those books that instantly make you happy when you read them? That’s exactly what Royally Wed is for me. I absolutely loved this sweet confection of a story; the characters charmed the hell out of me and Teri Wilson’s writing swept me away to a modern-day fairytale for a few hours. I adored Amelia and Asher from the start. They’re lovely, charming, endearing characters who are easy to root for. They have fantastic chemistry and it’s easy to see why it’s impossible for them to stay away from one another. Sparks aside, I loved how they became friends as they fell in love; it added to their love story and gave it more depth. 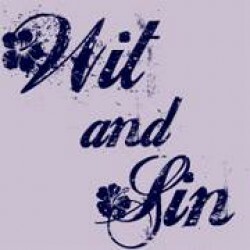 While they do fall in love quickly, it works in this case. I honestly had no idea how they’d get their happily ever after and I loved that Ms. Wilson kept me guessing. Royally Wed is loosely based on the Fred Astaire classic, Royal Wedding. Of all the Royals books, this one is the least like its inspiration (save for one major plot point) but I really enjoyed the nods to the film that I spotted. As with all the Royals books, Ms. Wilson does an incredible job of updating a classic and giving it her own, fresh spin. I cannot recommend this book highly enough if you enjoy contemporary romances or simply want a pick-me-up. 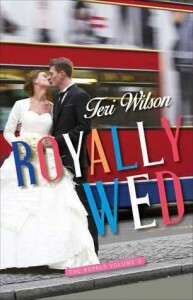 Royally Wed is the perfect mix of sweet and sensual, of real emotion and fairytale romance. In short, it’s simply superb.